It has been a busy summer, and I feel like this blog needs a little attention, so I’m hoping to show up here more often in the coming weeks. 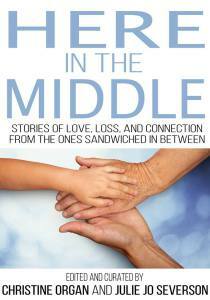 In the meantime, here is the gorgeous new cover for the upcoming book, Here in the Middle. I am a proud contributor; this is an important book that will generate necessary conversations.